In the past several weeks, I’ve been reeling from the deaths of three relatives who played major roles in my childhood, and haven’t had the time or energy to focus on an important bird issue right down in the Twin Cities—the proposed design for the new Vikings stadium. 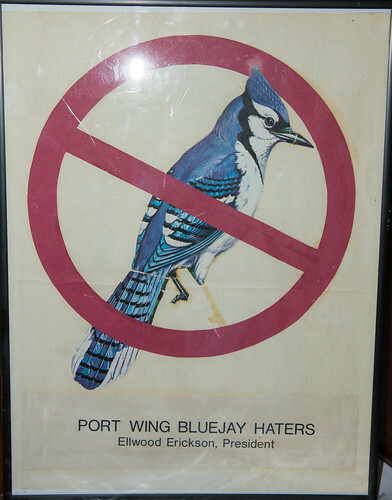 The stadium will be built less than a mile from the Mississippi River, a major migratory pathway for a huge variety of birds, and the design includes over 200,000 square feet of glass, which will most assuredly kill birds by the thousands, or even more, every year. When the original plans were released, Audubon Minnesota met with the Vikings to work out some ways of reducing the danger. Although the team appeared to be making a good faith effort to modify the design plans, they made the final decision this week to completely ignore the problem. Modified glass would add less than a million dollars to the billion-dollar-plus costs of this taxpayer-funded project—that is, less than a tenth of one percent of the total cost, but a spokesman for the Vikings said that money wasn’t an issue anyway. Their architect apparently thinks a beautiful view of the sky during the few daylight hours of home games every season is a more important issue than thousands of birds crashing into the glass. 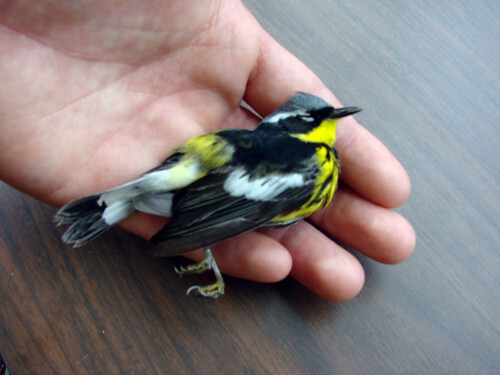 Collisions with glass take out from 300 million to a billion birds a year in the United States alone. 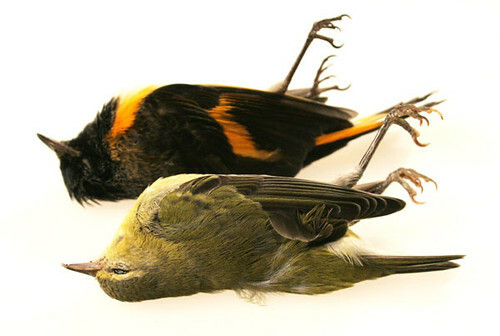 The species killed are not the abundant ones so conspicuous in the urban landscape such as pigeons, crows, and starlings but, rather, migrating songbirds headed to the tropics, such as tanagers, orioles, and warblers. These migrants spend their days resting and devouring as much food as they can, and their nights flying long distances, when hawks are asleep, temperatures are cooler, and wind speeds lower. Nocturnal migrants usually rest at sunset and take off well after dark. Birds perched in trees or shrubs instinctively know they have a safe path through the branches if they take off directly toward a bright light, which until the past 140 years or so would have been the moon or stars. Once aloft, if they become disoriented by fog or a low cloud ceiling, flying toward a light always assured them of a safe path to an unobstructed view of the sky. At that point, they use the earth’s magnetism or star patterns to navigate. In either case, their inborn tendency to fly toward a brightly lit area explains why so many are found dead under buildings after heavy migration nights.The brightly lit stadium will disorient and attract a great many birds straight to the glass, especially on foggy nights. 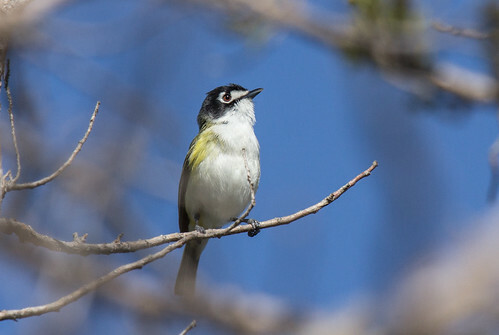 By day, migrating songbirds concentrate near lakes, rivers, and streams, where insects are most abundant. In the Twin Cities, a great many of them are drawn to the vicinity of the Mississippi. Many of those that see trees and sky reflected in the glass of the proposed stadium are likely to crash, too. Millions of songbirds fly over the Twin Cities each fall and spring, and so a glass-covered football stadium so close to the river is guaranteed to kill large magnitudes of them, by day and by night. More and more people are becoming aware of the huge death toll from collisions with glass every spring and fall, but unfortunately, influential architects seem blind to the situation. My friend Sharon Stiteler, a very well-known and influential birder in the Twin Cities, along with Audubon Minnesota, just delivered a petition with over 76,000 signatures to Minnesota Governor Mark Dayton, asking him to require the Vikings to use less dangerous materials for the stadium. I signed the petition, and will also be calling his office today (651-201-3400). Our individual voices are pretty insignificant against huge moneyed interests, but one would hope that if we all speak out, our thousands of voices might be heard above the one architect being paid by our taxes. This stadium is supposed to belong to the people whose taxes are paying for so much of it, and we the people of Minnesota value our wildlife as much as our football team. A creative, competent architect would know how to solve this problem. 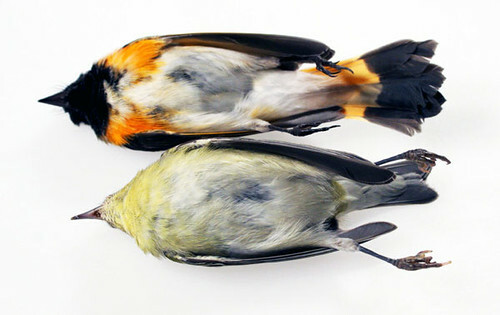 Thousands of dead birds are NOT "aesthetic." In 1900, the United States government enacted the first federal law designed to protect wildlife, the Lacey Act, which prohibited interstate commerce of animals killed in violation of state game laws. In 1918, the Migratory Bird Treaty Act made it illegal to hunt, pursue, take, capture, kill, or sell any migratory birds without a proper license. Being a federal treaty act entered into with Great Britain on behalf of Canada and then, in 1936, with Mexico, the Migratory Bird Treaty Act overrode provisions of state law. That is why people need to have just a state license to hunt most wildlife, but must also have a federal permit to hunt waterfowl and most other migratory birds. In 1966 Congress passed the Endangered Species Preservation Act, which permitted the listing of native US animals as endangered, and provided limited protections for those animals. 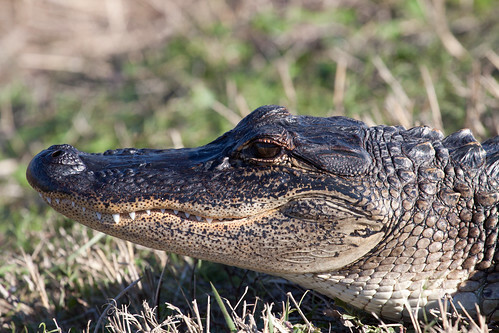 In 1969, an amendment provided additional protection to species in danger of worldwide extinction by prohibiting their importation and sale in the US, and expanded on the Lacey Act by widening the number of species protected, including reptiles to reduce poaching of alligators and crocodiles. The Lacey Act was entirely focused on interstate commerce, and that first endangered species act didn’t address many of the root causes of species declines, and so in February 1973, President Richard Nixon called on the 93rd United States Congress to pass comprehensive endangered species legislation. Concerns about endangered wildlife were so widespread and bipartisan that Congress quickly responded with a completely rewritten law, the Endangered Species Act of 1973, which Nixon signed into law that very same year, on December 28, 1973. In a 1978 decision, the U.S. Supreme Court found that "the plain intent of Congress in enacting" the ESA "was to halt and reverse the trend toward species extinction, whatever the cost." Almost as quickly as it was enacted, people started fighting against species protections when their economic interests were at stake. Presidents Reagan and George W. Bush’s administrations were famous for their efforts at cutting back protections, but even democratic presidents haven’t done much to strengthen protections. 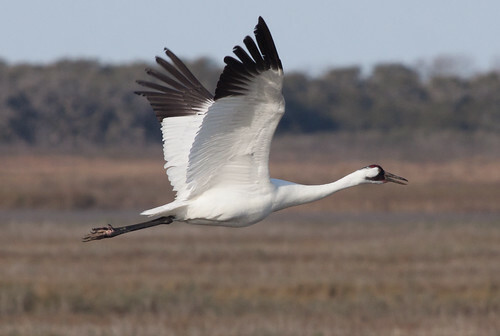 Now the US Fish and Wildlife Service has announced a new interpretation of the Act that retreats from the conservation ethic that provided much of the strength of the Act as originally passed. A species can now be completely disappearing over a large swath of its range without qualifying for protection as long as there is a viable population somewhere. 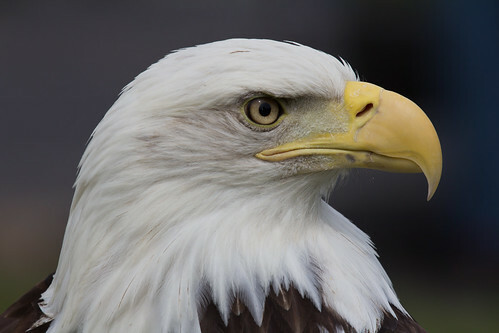 Following this new definition, Bald Eagles wouldn’t have qualified for protections back in the 70s and 80s, because their numbers were still relatively strong in Alaska. Although the gray wolf has been lost from 85 percent of its historical range, it is in the process of losing all endangered species protection because its numbers are considered strong in that last 15 percent of its range. I’m sure oil and gas corporations appreciate this new interpretation, which will allow them to further destroy habitat essential to sage grouse, which have declined by more than 95 percent since the 1960s. 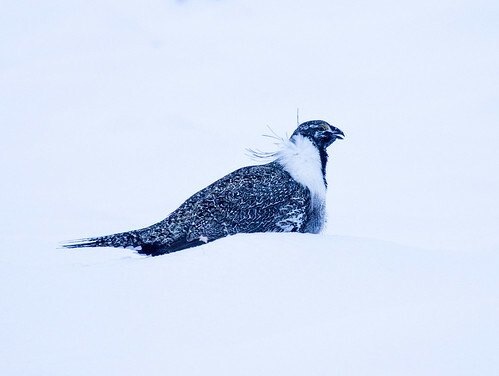 Sage grouse were originally found in 16 states and 3 provinces, but have been entirely wiped out of British Columbia and 5 states, and remain in serious decline everywhere else. Yet moneyed interests continue to press for further development of their limited range, and hunters and falconers continue to take them, laying waste to the concept of limiting harvest to a surplus population. Our schools have never been required to teach students about natural resources, including the very species on which local and regional economies depend, so moneyed interests can easily confuse the public. 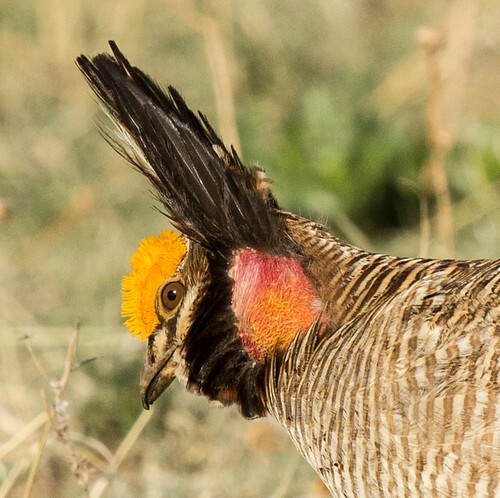 I’ve read about people claiming prairie chickens and sage grouse can be raised in captivity to be protected from extinction—they call them “chickens” to make people think they’re not very different from domestic chickens, but these wild species have specialized behavioral and habitat needs. Captive breeding programs for the critically endangered Attwater’s Prairie-Chicken have been hugely expensive and required huge swaths of land at NASA’s Johnson Space Center, yet are still tenuous. I think people are just as concerned about endangered species as we were in the 1970s, but now we have a much stronger sense that there’s nothing we can do to reverse trends and prevent losses. Back in the 1960s, I’d read Reader’s Digest articles about how people in the Soviet Union felt utterly helpless in the face of bureaucracy and the powerful Communist Party ruling their government. Today’s Americans are feeling equally helpless in the face of bureaucracy and corporate powers ruling our government. We the people can move forward to preserve and protect our country’s rich natural heritage, but only if we start believing, as we did in 1973, that we can. This year several people have asked me about the differences between cane and beet sugar, and I’ve heard a few people say that hummingbirds shun beet sugar, so I asked Donald Mitchell about that. He said he goes through so much sugar water, in his own backyard and wherever he’s setting up his traps, that he buys whatever is cheapest, which invariably is beet sugar. He says he’s never had a bit of trouble attracting and keeping hummingbirds with it. So when people are having difficulties attracting hummingbirds, the problems are almost certainly not related to the kind of sugar. There is no need to boil water or go to any trouble mixing sugar water. Tap water is just fine. Distilled water lacks minerals, and so some researchers caution against using it. 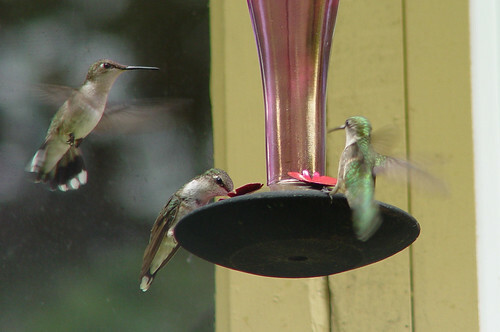 When you have lots of hummingbirds, feeders get emptied frequently. When you don’t, the sugar water should be changed every two or three days anyway—whether you boiled the water or not, and whether you used distilled water or not, the moment a hummingbird’s bill and tongue are inserted, germs are present, and little by little the water gets cloudy. Thoroughly rinsing the feeder, using a toothbrush or bottlebrush in any crevices, is a good idea, especially if you waited a bit too long to change the water. 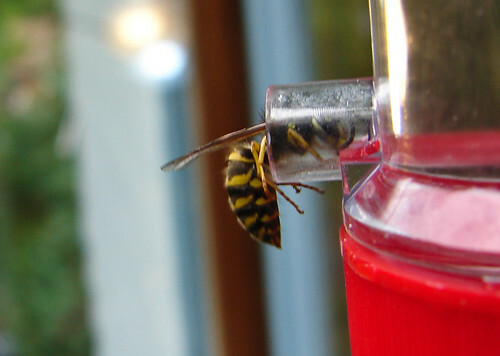 Don said if you’re having trouble with wasps and bees, the best feeders are the bowl-type, because they can be filled just partway, making it too hard for insects to reach the sugar water while hummingbirds have no trouble. 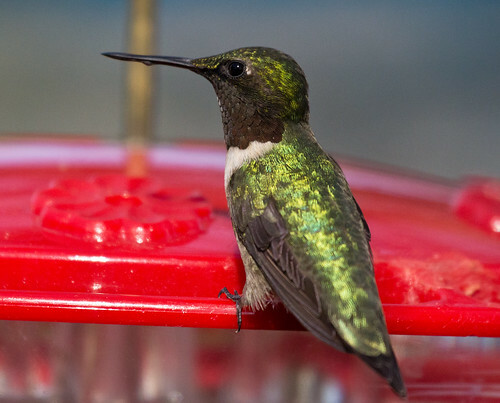 The sweetness of natural flower nectar is all over the map, but in the flowers most well adapted to hummingbirds, the ratio of sucrose to water varies between about 1:5 and 1:3. The best concentration for feeders over the widest conditions is about a ¼ cup of sugar per cup of water, but you can make it stronger, up to about 1/3 cup of sugar per cup of water, which is especially valuable during cooler or wetter conditions. During droughts and excessively hot weather, making it a bit weaker, or about 1/5 cup of sugar per cup of water, can be healthier for birds in danger of dehydration. Of course, if that's hard to remember, 1/4 cup of sugar per cup of water is perfectly okay all the time. For the next two weeks or so, hummingbird feeders are going to be buzzing with activity, but within another couple of weeks, hummingbirds will pretty much disappear from the northland. I’ll still keep my feeders going well into fall. 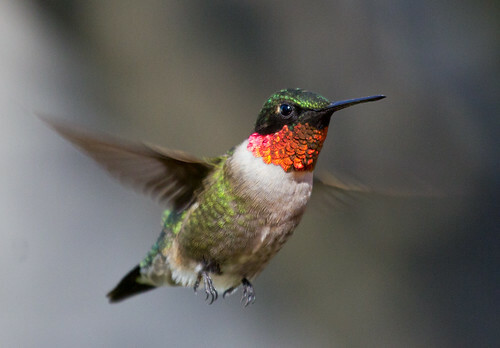 Hummingbirds need a lot more than sugar water, and even the best feeding stations won’t keep them longer than the birds need for replenishing their fat to fuel their migration. I’ve had hummingbirds at least occasionally every October that I’ve left my feeders out, and the one time I maintained a feeder into November, a Rufous Hummingbird turned up. But right now is when feeders are almost guaranteed to attract hummingbirds, and that makes the end of August a perfect time of year. I was born in Chicago and my family moved, before I was in elementary school, to a town called Northlake in the western suburbs. A polluted creek ran along the grounds of Automatic Electric, a huge factory built on what had been a golf course, and I took lots of walks there, feeling like I was immersed “in nature.” Generic trees lined the creek, and dandelions and a few nameless flowers poked through the lawn. Little rodents we called gophers peeked out of holes. I had no idea that they were 13-lined ground squirrels, nor that the squirrels in my own backyard were of two different species, gray and fox. I’d heard of chipmunks thanks to Disney’s Chip ‘n Dale, but had never seen a real one. I knew three birds: the little sparrows that begged for French fries at McDonald’s, the robins running on our lawn or picked up dead for a day or two after the DDT truck went by, and cardinals that sang in our maple tree. I didn’t know if any bird running on a lawn could be correctly called a robin, or if any red bird was a cardinal, and didn’t know how to recognize a maple tree except the one out my window—for all I knew, maple was that tree’s name in the way that Laura was mine. As a college freshman at the University of Illinois, I was active in organizing our first Earth Day celebration in 1970, but my understanding of the outdoors was little more informed than the understanding of a baby whose unfocused eyes gaze in wonder at kaleidoscope shapes and colors in a shopping mall. 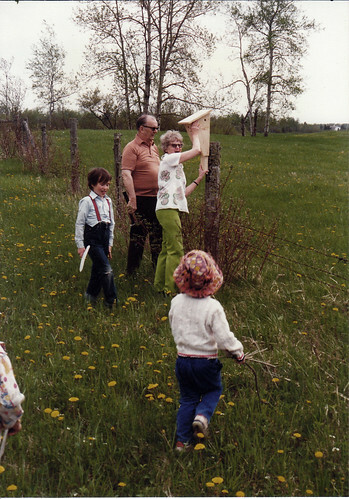 In 1973, before I took any college zoology classes or became a birder, Russ and I visited his parents in rural Port Wing, where they were fixing up a house for retirement. This was a far more natural place than any I’d ever been to, but all I saw were more generic trees and flowers, and a lot of mushrooms. I noticed an occasional robin, but no other birds. I’m not quite sure how I got through reading Walden in high school, much less getting A’s in English. 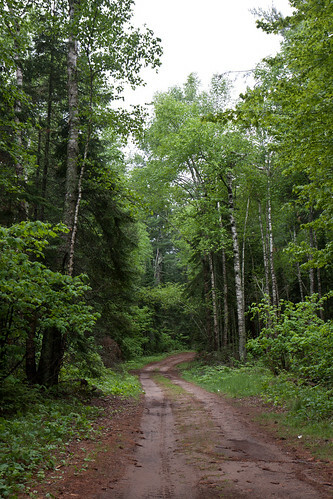 What meaning did I extract from sentences like "… the single spruce stands hung with usnea lichens, and small hawks circulate above, and the chickadee lisps amid the evergreens, and the partridge and rabbit skulk beneath”? Hawks were zoo birds, not anything you could see in the real world. Bald Eagles and Red-tails and Broad-winged Hawks almost certainly flew right over my head on that first trip to Port Wing, but I was blind to them. The various animal and plant names Thoreau mentioned were thesaurus words—fancy terms you stuck in your writing to sound smart and impress teachers. Let them do the idiotic and maniacal hooting for men. It is a sound admirably suited to swamps and twilight woods which no day illustrates, suggesting a vast and undeveloped nature which men have not recognized. They represent the stark twilight and unsatisfied thoughts which all have. 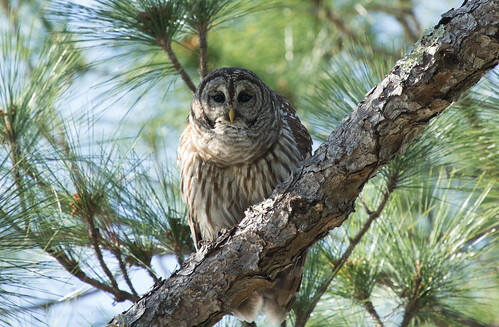 Now I realize that Thoreau was talking about the Barred Owl, something clear to anyone who has heard a pair’s bizarre courtship calls. Thoreau’s fancies were not fed by amorphously generic nature—his imagination was sparked by the real—the particular—even if I didn’t understand that. I needed one small thing to shift my understanding and bring my nebulous concept of nature into focus. 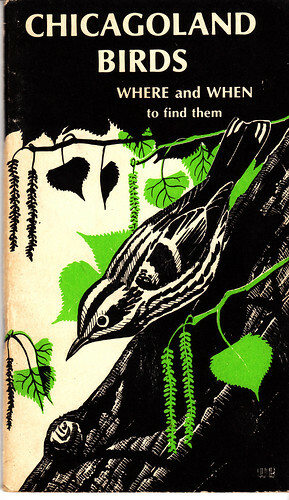 The field guide I received for Christmas in 1974 became my personal catalog to the particular. The Sears catalog of my youth gave specific names to household objects. Everyone knew that dads wore shirts—the catalog gave me the words for particular types of shirts—pinstripes or plaid, long-sleeved or short-sleeved, button down or spread collars. People used pots and pans to cook, and the catalog gave the correct names for each kind—frying pans, 1-quart saucepans, double boilers, kettles. Having particular names for them made me pay closer attention, and made even mundane household items more interesting. For a Christmas gift in 1974, I received a field guide to the birds, and the moment I opened its pages, birds were no longer mysteriously generic things. My field guide catalogued the particular, making me both aware of the myriad possibilities and interested in looking closely at every bird’s every feature. 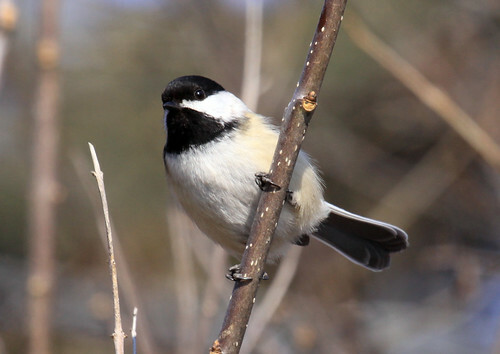 When I identified my first bird, a chickadee, it was like getting a delightful package I’d ordered from the Sears catalog, but also a splash of cold water in the face. These chickadees had been in Baker Woodlot all along, on every walk Russ and I took there. But until that moment, they’d been invisible to me. Now whenever I saw a bird, I paid attention to its particular features. Soon I could instantly recognize chickadees, and by scrutinizing the features of non-chickadees, I could find them in the field guide. 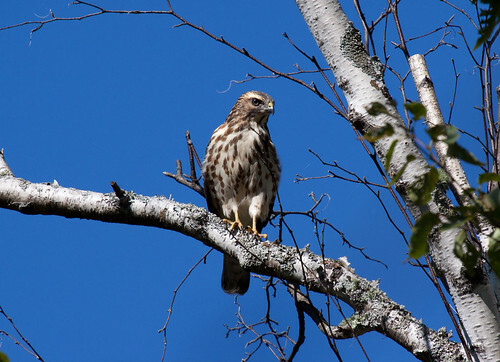 I’d been to Baker Woodlot at least a dozen times before I took up birding, and birds were there every time. Now that I had a field guide, suddenly I could see them. 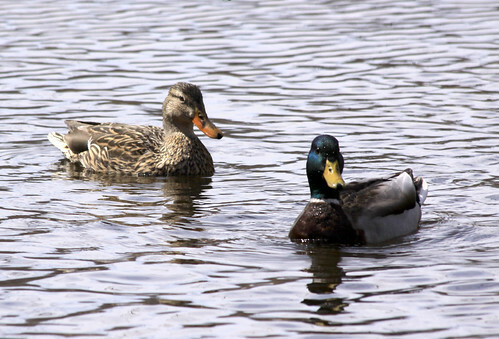 The ducks on the Red Cedar River on campus morphed into Mallards, and now I could distinguish drakes from females, adding richness and nuance to my concept of ducks; in that first year, I identified eight different duck species swimming in the very spot in Chicago, along Lake Shore Drive, where Russ and I had gone countless times to see sailboats, yet before, if I’d noticed ducks at all, they were simply “ducks.” And before the year’s close, I saw my lifer Snowy Owl flying low over a sidewalk along that stretch of Lake Shore Drive, it’s eyes meeting mine. This new world of particular, cataloged birds was not just a rich one—it was magical. It said 372 species had been recorded within 50 miles of the city, 200 occurring regularly, with 173 breeding there. 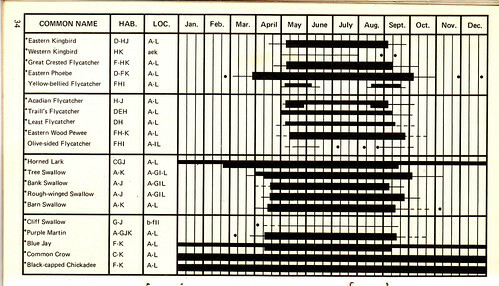 For every fairly regular species, the booklet had a little graph showing how common it might be in Chicago from month to month, and listed the habitats and some specific hotspots where each could be found. According to the graphs, chickadees were easy year-round; Barn Swallows abundant only from mid-April through mid-September, and nowhere to be found from November through March. If a bird in the field guide struck my fancy, I could look it up in my Chicagoland Birds book to see how likely it was that I could find it in or near the city. When I could get to a birding hot spot listed in the book, I was guaranteed to see a bunch of birds, and even when I couldn’t, just walking in our old neighborhood I was easily spotting Chimney Swifts and nighthawks, juncos and White-throated Sparrows, Rose-breasted Grosbeaks and Baltimore Orioles on the same blocks where for the previous 23 years I’d noticed nothing but House Sparrows, robins, and an occasional cardinal. How could I have missed so very much for so very long? Little by little, my love for each particular bird drew particular plants into my sphere of understanding, too. To love Northern Parulas, one must know and appreciate balsams draped with usnea lichens. 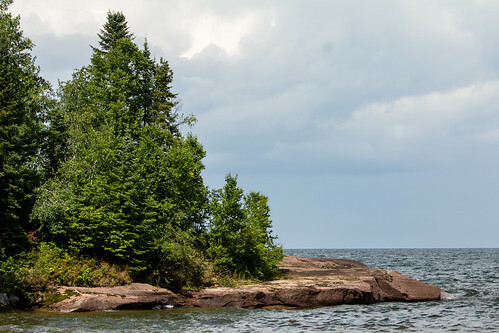 To love Kirtland’s Warblers, one must love jack pines and the fire cycles that regenerate the trees to ensure that stands of the right size are always available for Kirtland’s nesting. 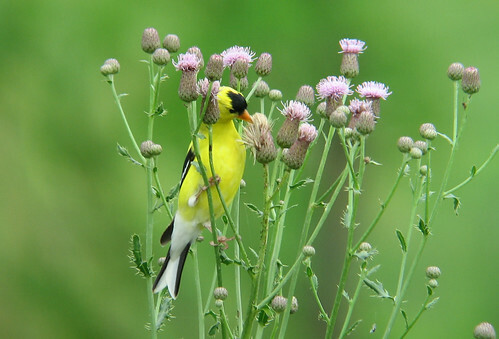 To love goldfinches is to love thistles despite their thorns. Knowing that a streamside thicket would have Willow Flycatchers (well, "Traill's" back then) and Yellow Warblers while a beech-maple forest would have Tufted Titmice and Great Crested Flycatchers made each forest ever so much more than trees. 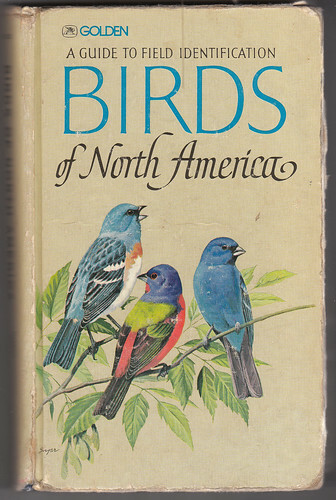 It would cost time and money to explore America in order to see all the species catalogued between my field guide’s covers, but unlike the products in a Sears catalog, the birds in my Golden field guide were priceless in the literal as well as figurative sense. The best things in life really are free, and my little field guide, which cost all of $4.95, was truly Golden.